I was cleaning and found this disk. Based on the system requirements, and the fact that it names the PCjr., I’m very sure that it’s version 2.0 from 1984 (there’s no copyright date on it). 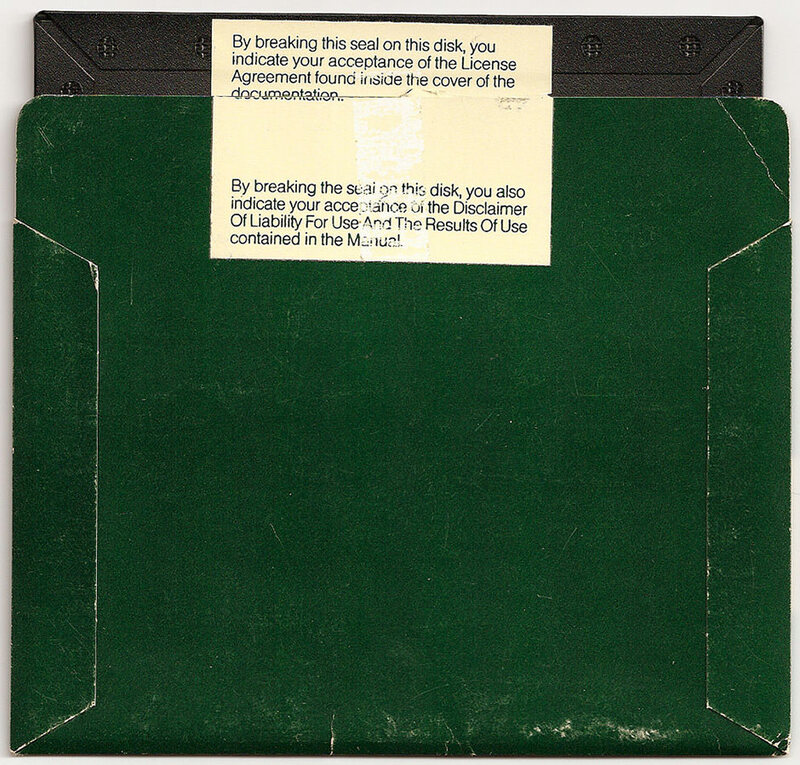 I can’t test it since I can’t find any 5¼-inch floppy drives, but I’m going to guess it won’t work. Check out that Microsoft logo! For more information, check out Compute! 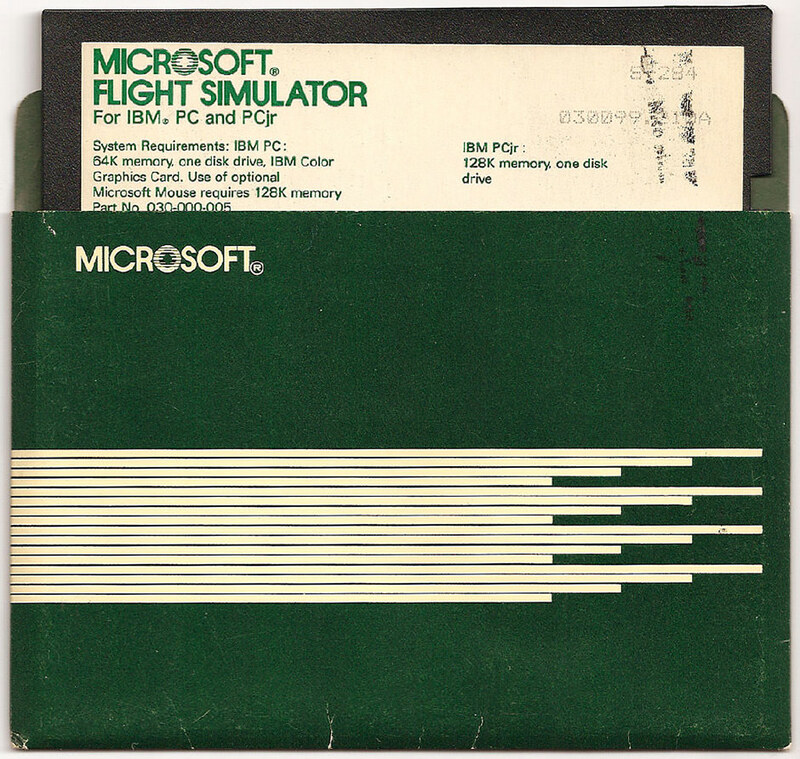 magazine’s review of MS Flight Simulator v2 and the History of Microsoft Flight Simulator.